PRICED TO SELL! BRING YOUR BUYERS! This is the perfect mountain retreat. 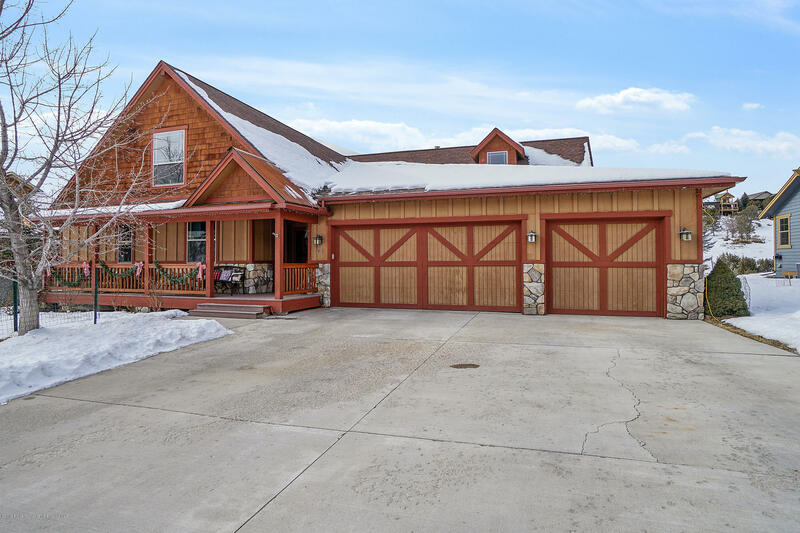 You won't believe the wide-open view from the NEW back yard flagstone patio or covered back deck where the only backyard neighbors are deer, elk, eagles and hawks. When you're not entertaining friends outside or admiring a gorgeous mountain sunset, enjoy your high-end indoor finishes including granite counters, hickory floors, knotty alder cabinets and doors, and grand vaulted ceiling. Overnight guests will enjoy the upstairs bonus suite with full bath or you can use it as a game room or lounge! Park your cars and toys in the spacious 3-car garage then walk up the hill to the golf clubhouse for dinner or drinks. Only $75/month HOA dues includes your private Lakota pool and fitness center membership. Move-in-ready!